Finding ways to organize toys is always a challenge. Whether you are tackling the playroom, the toddler room or even the room of a young child, organization is key to keeping a room even decently clean. Here are 10 of my best toddler-proof organization and decorating tips! We use affiliate ads to recommended products. We earn money from purchases. Laundry baskets are a great alternative to flimsy bins or expensive toy boxes. We use these laundry baskets for books, stuffed animals and even as makeshift toy boxes. There are no lids to smash fingers, and you won’t have to worry about the kids climbing on top them. This is a must if you have climbers. My kids would climb anything and everything, so instead of using shelves in their room, we just put bins and laundry baskets of toys out on the floor. This is a special bonus because it also means the kids can always reach their toys AND they can work towards cleaning up on their own too. Keep toys with multiple pieces or small parts out of reach. The old cliche about turning around for 2 seconds only for a whole box of toys to be dumped on the floor – that cliche is 100% true! I found the best way to keep things tidy was to have toys with lots of pieces (LEGO, puzzles, etc) in a closet, out of reach. The kids can ask to get one or two of the special closet toys out at a time, and he has to clean them up before he can switch it for something else. This way pieces don’t get lost as easily, and I don’t always have 1,000 small toys lying around. This closet toy method was always a huge sanity-saver because it made the closet toys “special” and encouraged independent playtime when we got them down. Read more about our closet toy strategy here. It amazes me how quickly we accumulate toys at our house. I really don’t understand where they all come from! I try to do my best to purge the toys we don’t need. We sell some online, or in consignment shops and donate the rest. Anytime I feel like the house is becoming a constant toy-tornado, I know that it’s time to get rid of some toys! When choosing bins and boxes to keep toys in, I always do some safety tests first. Toddlers are feisty, make sure everything can be sat on or even climbed on without buckling under the pressure of a toddler. Or use another similar organization method that the child can understand. Even small kids know their colors, so this could be a great tool to help them understand where specific toys are kept. This toy shelf is a great option for something colorful that the toddler can reach, even up to the very top. For cheap decorations, shop teacher supplies! There are so many great themes to choose from and lots of cute things you could hang on the walls. My son’s room was done in a Dr Seuss theme, and I was able to do the whole room with cheap teacher supplies. It’s inevitable, if the decorations are within reach, they will, at some point, be pulled down by the toddler. I learned this one the hard way when I had a little wall hanging that measured his growth. The growth chart is a ruined mess now, but I’ve moved all his other decorations up high on the wall so he can’t reach them if he tried! Decorate you toddler’s playroom with family photos! Hang up photos of the immediate family, but also shots of grandparents, aunts and uncles. Your toddler can look at photos of all the people they love while playing, the playroom will truly be the happiest place ever! Easier said than done, but remember that this is a kid’s room. Even with the best of organizational skills, it will get messy and it might even stay messy sometimes. That’s okay. Just go with it and try to organize and teach those organizational skills when you can! It’s not worth stressing over! 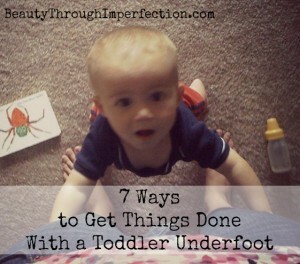 Click the image below for 7 ways to get things done around the house with a toddler underfoot. What are your best tips for organizing or decorating a kid’s room, toddler room or playroom? I’d love to hear them! My children are in their 30’s but they look back fondly on our family method. We kept them locked up!!! Most of the toys were in a spare room called the toy store (you could just use a closet). We would go in and they would “buy” a big basket of toys . When they were ready for something different they gathered all the toys into the basket and returned them to the store and could get more. My friend thought it was mean, but my kids remember it as fun and I never had to clean up toys. Of course they had some favorites in their rooms. Before Christmas I would ask them if they wanted to pick out toys for charity and they had fun doing that. Organizing the playroom has been on my to-do list for a couple of months, and I really need to get to it. Thanks for the tips! My kids are older now, but organizing their rooms was a big part of my day! So much stuff in such a small space. This is great information, Paula! I’m gonna tweet and pin it! Have a lovely day. Great tips, especially the one about putting bins on the floor if you have climbers. And I would have never thought about using laundry baskets. Thanks for sharing. Oh yeah- visiting from the Weekend Re-treat party! Great tips! I am in the process of organizing our playroom. 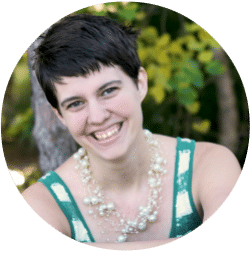 I have a toddler and preschooler and I am always looking for inspiration and tips to keep it safe and organized! 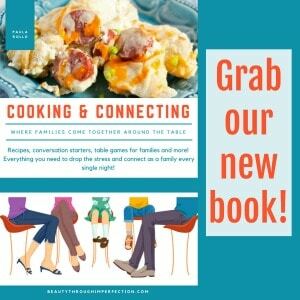 Thanks so much for linking up to Frugal Crafty Home! I hope we’ll see you back next week! Great tips! I really need to get rid of some of my daughter’s toys. I just order some more toys for her… lol Thanks for sharing @ Submarine Sunday! I’ve been told by “tired” moms that my system just doesn’t work but I’ve been using it for about a decade & it absolutely works for us. It even works with those little guests (the children of the “tired” moms). Moms come over & always ask how I mama he to keeps my home especially the toys so organized, I tell them my system & without trying it they tell me they are too tired to try that & that it wouldn’t work at their home. Here’s the system, it’s actually really simple. I personally organize everything in bins or baskets and put them up on shelves. Each bin or basket gets a picture (or word for children who are readers:ie, “Lego Duplos”, “Lincoln Logs”,” kinex”, “magnetic blocks”, “cars”, etc…). I put three bins per shelf up & there are about 9 shelves. I don’t overwhelm the shelves or room with toys because it’s a sensory overload for children. They dump it all out & can’t handle cleaning it up. It’s like walking into a huge room full of clean & unclean laundry. Where do you start, how do you start, you close the door & walk away from the laundry again. It’s the same for kids. Parents think that the more toys they leave out the more entertained their kids will be but the opposite is true. Kids get a sensory overload & quickly become “bored” & want you to entertain them not to mention that’s when they cause mass havoc by dumping every toy in the room on the floor instead of enjoying a few toys at a time. Like wise it’s like having closets full of clothes & never having “anything to wear”. You’ve likely have way too much & can’t even remember some of your favorite pieces of clothing because you just have too much & it’s all buried in a closet. 1) Don’t overwhelm your children. 2) Make sure they know where things go by taking the time to mark them & teaching them & then reminding them “does that car go there?”. 3) Your biggest enemy is a toy box. Everything gets dumped out because the thing we want is at the bottom, that’s until you want the next thing, then everything gets dumped out again. That’s unless you’ll be using the toy box for “like items” like lego duplos, balls, anything that’s bulky & you have lots of. Instead of a bin of cars you’ll have a toy box of just cars. Other wise I’d suggest avoiding the toy boxes. 4) everything is a learned habit & you wouldn’t expect your child to learn to multiply in one day or one week or even a month. Take time to teach your child to clean up. 5) Make it fun! You don’t like cleaning genie toys but your kids don’t know they don’t like it until your attitude tells them it’s something that’s awful to do. Make it enjoyable. We sing songs when we clean, we make games up to clean, we race to clean, etc….6) explain that their toys are their property & it’s their privilege to take care of them. When their friends come by & want to dump all their toys your kids know it’s their job to clean it up so they’ll tell their fiends to not dump every toy out. 7) one toy out at a time. Again, it’s overwhelming if all the toys and bins are out, use good judgement, obviously if they built a block tower with the blocks and now want to use the superheroes to play in the tower that would be two bins, use judgement. You wouldn’t say “no” simply because they are using two bins. 8) expect them to be able to handle this simple, basic life task. If they think you believe they can’t, they never will. When I taught daycare kids as young as 16months were taught to clean up after themselves and others. Some kid come to my home are 9yrs old & act like their arms are broken & they can’t lift the toys they were just playing with to put them away, 8) don’t allow guests’ children to destroy your home, your kids will resent you & ignore you when you ask them to clean up. 9) Warning: your kids will be so into this that if you’re ever in a rush to leave & tell them to “just leave it & we’ll clean it when we get back” they will likely freak out. 10) Kids enjoy responsibilities and the younger you teach them the easier life becomes. My kids start cleaning up the moment they can walk completely unprompted they just see what their siblings do & want to copy. So sweet article! I have three-year-old daughter and I just started to teach her how to clean her house and to keep it neat and tidy. Thanks for this article! So interesting article! I have two kids at home and now I am trying to teach them how to clean their rooms. I think that they learn fast and they are glad to feel responsibility for something. Thank you for the interesting articles! just one more hint…..get a nice, thick shower curtain at the dollar store….ALL legos, blocks, hotwheels, etc must have their ‘rug’ down before dumping….when the kids are done, train them to aks for help to pick up 2 pairs of corners and pour back into bins…..curtains can even be painted on for roads, buildings, lawns, game boards, etc. I am agreed with you. It’s really a interesting article with lots of great tips. I’m thinking I’ll need to do this very soon. I also really like the idea of decorating with pictures. I used to love organizing our kids rooms so fun til they get bigger. Hopefully your tips helping me. Thanks for the sharing such a informative and also interesting article. Hey Buddy!, I found this information for you: "10 Tricks for Organizing a Toddler Room or Playroom". Here is the website link: https://www.beautythroughimperfection.com/organizing-a-toddlers-playroom/. Thank you.